Snakes bite more than five million people every year. Of these, around 1.8 million people are envenomated and over 94,000 are killed. These statistics suggest that snakebite is one of the most neglected tropical diseases. But getting accurate statistics is incredibly difficult. Many bites go unreported, with as few as 8.5% of snakebite victims seeking medical treatment. In Africa, snakebite probably kills over 30,000 people per year. This is proportionally more than in most other regions around the world. A large percentage of these deaths can be attributed to one genus of snake: Echis. Also known as the saw-scaled viper, Echis can be found throughout sub-Saharan Africa north of the Equator and in parts of Asia and the Middle East. 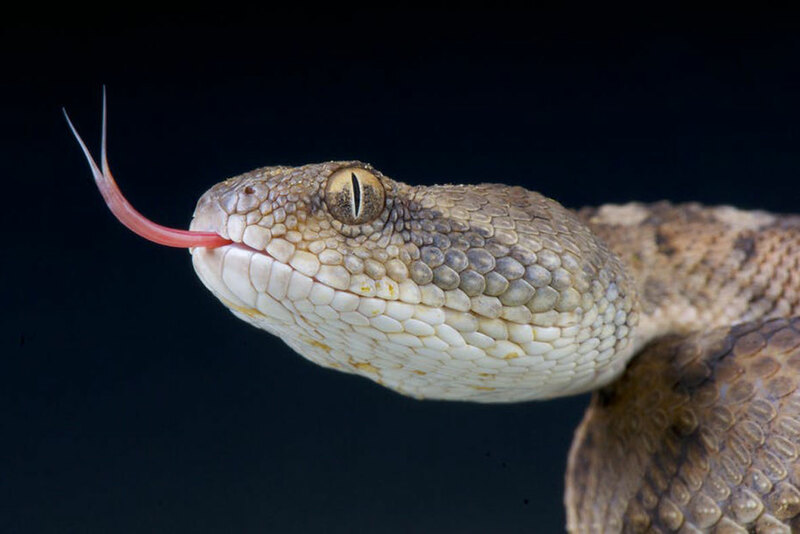 This small viper dominates snakebite statistics and kills more people annually than any other. For example, Echis ocellatus is responsible for as many as 95% of snake bites in northern Nigeria. Many of the toxins in the viper's venom target the blood to induce clotting. For humans, this causes a potentially lethal condition called "venom-induced consumption coagulopathy", more commonly called VICC. This disrupts the body's ability to regulate blood flow and results in severe internal bleeding. Haemorrhage, stroke and shock are typically the cause of death following VICC. Antivenom is the only effective antidote. 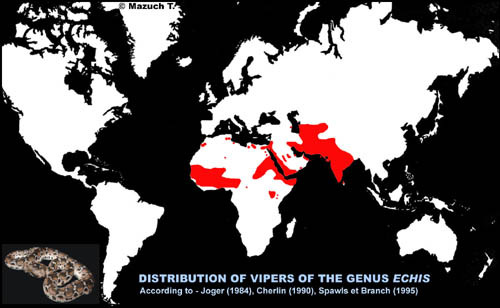 But the continent is experiencing an antivenom crisis. This crisis is a result of the discontinuation of a key antivenom in Africa, Fav-Afrique. Fav-Afrique was very effective at treating snakebites in the region: some clinics reported a 100% success rate when using this antivenom. But the antivenom's manufacturers, Sanofi-Pasteur, stopped production of Fav-Afrique after claiming they were priced out of the market. The disappearance of Fav-Afrique from African clinics partly explains the exceptionally high rates of snakebite death on the continent. It has seen an increase in the use of cheaper, Indian-produced antivenoms – many of which appear to be largely ineffective. To investigate the issue further, we conducted a comparison of four antivenoms that are commonly used to treat Echis bites on the continent. Two were made using Indian Echis venoms and two made using African Echis venoms. We tested these antivenoms against venom samples from ten different populations of Echis across their distribution, from Africa to Asia. We first added the venom to human blood plasma and measured the rate at which each venom induced a blood clot. We then repeated the experiment, but with an additional step. Before adding the venom to the plasma, we mixed the venom and antivenom. This step was to give the antivenom a chance to bind with the venom toxins and neutralise their harmful activity on the blood. We assessed the effectiveness of the antivenoms by looking at how well they were able to slow the clotting caused by the venom when compared to our first experiment. What we found was alarming. Despite the antivenoms being marketed as species-specific (that is, able to treat the bite of a given species), we found extreme region-specific variability in their effectiveness. This means that the performance of the antivenoms varied based on the geographical origin of the venoms, even within a single species. The Indian-made antivenoms, common throughout Africa because they are affordable, showed little to no neutralisation of the African Echis venoms. Even the venoms of some Indian Echis populations showed limited response to the Indian antivenoms. Clinical case statistics support our findings. After switching to an Indian-produced antivenom following the discontinuation of Fav-Afrique, some African clinics have recorded a horrific 7 to 20-fold increase in case death rates. Why such variability in the antivenoms? Antivenoms are developed by injecting a small amount of venom from either one or from multiple species (to produce "monovalent" or "polyvalent" antivenom, respectively) into a host animal, such as a horse. The animal's immune system responds by producing antibodies that recognise and fight those venom toxins, much like what happens in our bodies when we get a vaccine. These antibodies are extracted and purified. The resulting antivenom is then marketed as being able to treat a bite by the species whose venom was used during its production. This process is effective and reliable when venom composition does not differ much between individual snakes. 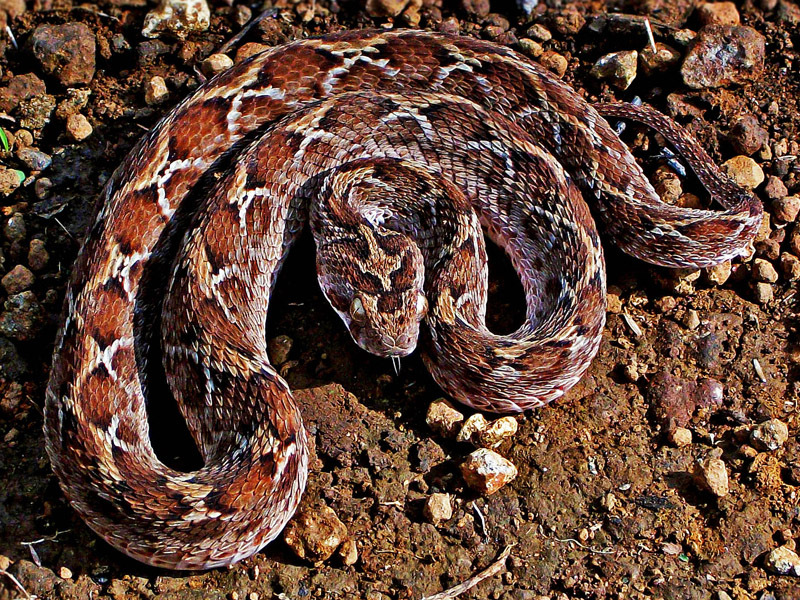 Antivenoms may even be effective in treating the bite of a closely related snake species. Unfortunately, this is not the case for Echis as their venom composition varies between populations. This is partly thought to be an evolutionary adaptation linked to diet. A key function of snake venom is to assist in prey capture. The toxins in venom do this by targeting specific parts of the prey's physiology, such as the blood or the nerves, to disrupt normal body function and immobilise the animal. Different Echis populations feed on different prey types. For example, some feed mostly on vertebrates such as rodents or lizards, while others prefer invertebrates such as scorpions. The physiology of these prey animals differs, and this dictates what makes a toxin effective for predation. This could be why some populations have evolved different sets of toxins. From a medical perspective, this means that the antibodies in an antivenom may not be able to adequately recognise and fight all the harmful toxins in the venom. The outcome for patients and clinicians is variable or reduced antivenom effectiveness between regions. Our results show the failings that come from using a geographically restricted range of antivenoms and marketing them inappropriately. Given the seriousness of snakebite in Africa and around the world, this puts the pressure firmly on antivenom manufacturers to develop, market and distribute their antivenoms responsibly. Human trials have begun on a 'brain paint' made from scorpion venom that could help surgeons identify tumours during surgery. The tiger's snake venom has stood the test of time: it's so perfectly effective, it hasn't had to change in ten million years.